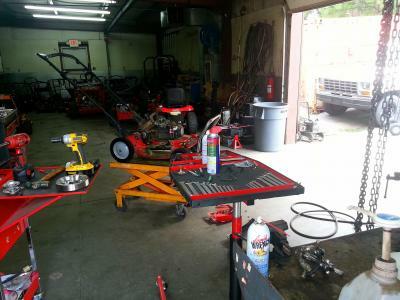 Pro-Mow has been selling and servicing lawn equipment for almost 20 years, with combined service experience totaling over half a century. 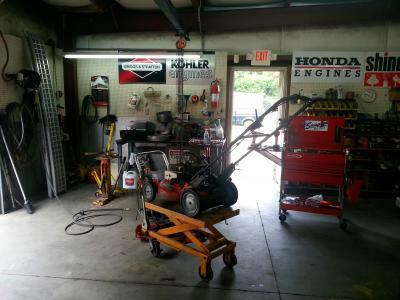 Our certified mechanics in our on-site repair center service: Snapper, Snapper Pro, Echo, Ferris, Shindaiwa, Tru-Cut, Ryan, Poulan mowers, BCS, Billy Goat, Briggs and Stratton, Sarlo, Honda, Kohler, Kawasaki, Manco, Mantis, MTD mowers, Murray, Redmax, Bolens, Troy-Bilt mowers, Craftsman mowers, Columbia, and Tecumseh. If you have any questions about service and repair, please contact us at (919)-772-3001. We will be glad to help you in anyway we can!